When envisioning the future of design, I cannot help but to think about the evolution of designers’ tools. The ubiquity of laptops, tablets, and other screens are making many analog techniques all but obsolete. As such, I want to take a moment to reflect on the future of handwriting (or the lack thereof). People transition across devices, environments, and activities in continuous communication and service experiences. Users expect technology to provide seamless, unified experiences, even when moving among messages and services from different sources. New platforms amplify experiences in the physical world but also create gaps among devices and diversify the interactive behaviors required of users. People are now constantly interacting with both the analog or “real” world and the digital or “virtual” world, and the systems that we have used for generations are in a phase of adaptation. For instance, printed books still exist but are rapidly being replaced by e-publications and audio books. Yet most digital versions of books do not utilize available technology – and a fake page-turn does not have the same satisfaction of the real thing. However, some companies and individuals are addressing this by completely re-thinking what a book is. Google created Editions at Play, which beautifully integrates technology into a range of publications, or, in their words, they “make books powered by the magic of the internet.” One of their books, The Truth About Cats & Dogs, by Sam Riviere and Joe Dunthorne, allows readers to toggle back and forth between two perspectives throughout the entire piece. This provides opportunity for exploration that would have been more difficult to achieve in a printed format. In Entrances & Exits, by Reif Larsen, the story is told through Google Street View with interactive components. While navigation might be a bit clunky, it is interesting to see a less linear and more game-like approach to a book. My point for this slight digression is that many older technologies and systems are being adapted to new ways of life. So, what does the future hold for handwriting? We are currently “living through a transitional moment” in which handwriting and digital communication (typing, texting) are both commonly used. However, as discussed at length in Anne Trubek’s lovely book “The History and Uncertain Future of Handwriting,” the case can be made that handwriting is nearly obsolete, and our desire to use it (and to teach it to our children) is born from sentimentality. Currently, students are simultaneously taught to print and to type in their early education. 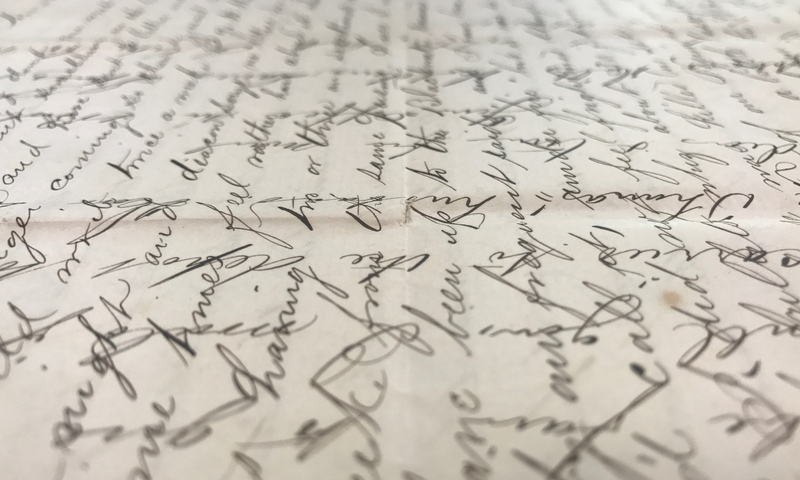 Cursive has been wiped out from nearly all curricula, and there is discussion to stop teaching printing as well – but should we? As much as I have an impulse to say writing should be taught, we live in a world where time and funding are limited. Can we say handwriting is more valuable than teaching art, a second language, or coding? In the same token, I consider the role of older technologies, but as much as I am enchanted by old typewriters, I do not think it would be appropriate to replace computers with them. Nor should the letterpress replace the modern printer. Yet I can’t let go of Trubek’s point that handwriting has a sentimentality to it. I’m bothered to think of a future in which people cannot write, but I don’t know if I’m just holding on to the past. Handwriting feels so natural to me, but perhaps this is just because we are taught to write with a pencil from an early age. For me, a pencil feels like an extension of myself. But for everyone, the tools we are most comfortable with are simply those of which we are most familiar. And anyone who’s seen a two-year-old unlock an iPhone and open an app, can tell that these technologies are second nature to this younger generation. Yet there’s also a lovely personality to one’s handwriting. Some are elegant and feminine, while others more expressive. But with all, ephemeral moments can seep through, by the subtle shifts in the letterforms. You can see if someone was hurriedly scribbling, or if they formed the letters with care. 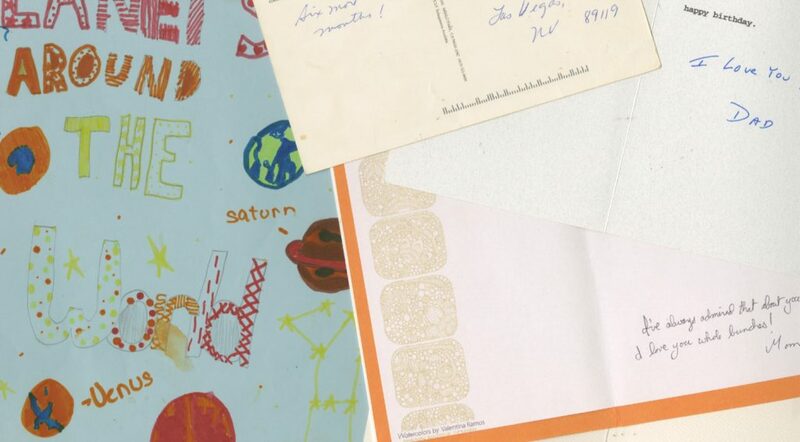 I often save handwritten letters from family and old friends – and in re-reading them, I feel as though I’m able to time-travel just the slightest bit (particularly if that person is no longer alive). And while I save (or rather, just don’t delete) many emails from loved ones, they don’t have quite the same romanticism about them. I have a recurring nightmare. It is years into the future. All the wonderful everyday objects we once treasured have disappeared, gobbled up by an unstoppable interface: a slim slab of black glass. Books, calculators, clocks, compasses, maps, musical instruments, pencils, and paintbrushes, are all gone. The artifacts, tools, toys, and appliances we love and rely on today have converged into this slice of shiny glass, its face filled with tiny, inscrutable icons that now define and control our lives. In my nightmare, the landscape beyond the slab is barren. Desks are decluttered and paperless. Pens are nowhere to be found. We no longer carry wallets or keys or wear watches. Heirloom objects have been digitized and then atomized. Framed photos, sports trophies, lovely cameras with leather straps, creased maps, spinning globes and compasses, even binoculars and books – the signifiers of our past and triggers of our memory – have been consumed by the cold glass interface and blinking search field. Future looks like a Dwell magazine photo shoot. And I’m torn, because on the one hand I’d love to live in a home worthy of Dwell magazine with all of the latest appliances. But there needs to be a balance in the future, between embracing the best of new technologies and preserving artifacts and history. We also need to know when to do our own design thinking and when to let computers make decisions for us. Additionally, there is a self-fulfilling prophecy of legibility: the more you are exposed to a style or a typeface, the more legible it becomes. If children aren’t taught cursive, they likely won’t be able to read it. As such, would they be able to read script faces? Does it matter if they can’t? There is a self-fulfilling prophecy of legibility: the more you are exposed to a style or a typeface, the more legible it becomes. But this extends much deeper into the realm of typography. Companies like Google and Apple have control over the typefaces we see most often (like Roboto and San Francisco), and while these are lovely and designed with readability in mind, simply by us being exposed to them on a daily (if not hourly) basis, they become even more legible. And more and more often design decisions are being made because of speed of reading, the number of click-throughs on advertisements, and sheer popularity – not through a designer’s sensibilities. And while metrics should not be ignored, we also need to be aware of the full picture. In part because, people do not always correctly interpret data, as it is complex and sometimes misleading. So, in addition to a plethora of sans serif typefaces, what does the future hold? Will our children still be taught to write? Will people know how to sign their names, if they never learn cursive? Will biometric data be the signature of the future? What will we use on official documents and in place of autographs? The signature is meant to be unique, and identifies us on everything credit card recipients to holiday cards. If handwriting is being phased out, will we have signatures? On my mortgage seven years ago I e-signed by selecting a script face drop-down list. For my taxes this year, which I file online, my “signature” is my typed name with the date. Despite individuals using handwriting less frequently, in recent years there has been a resurgence of calligraphy, hand-lettering, and typefaces inspired by each – because people have a desire to make things by hand and people on the receiving end want to feel humanness, especially when they spend over half their day in front of a screen. While in the foreseeable future, I can’t picture handwriting being completely eliminated. I see parallels between the history of photography and the future of handwriting. While photography is more prevalent than ever before, the darkroom and film have all but disappeared. In the same way, pencils and pens are being rapidly replaced by digital devices. 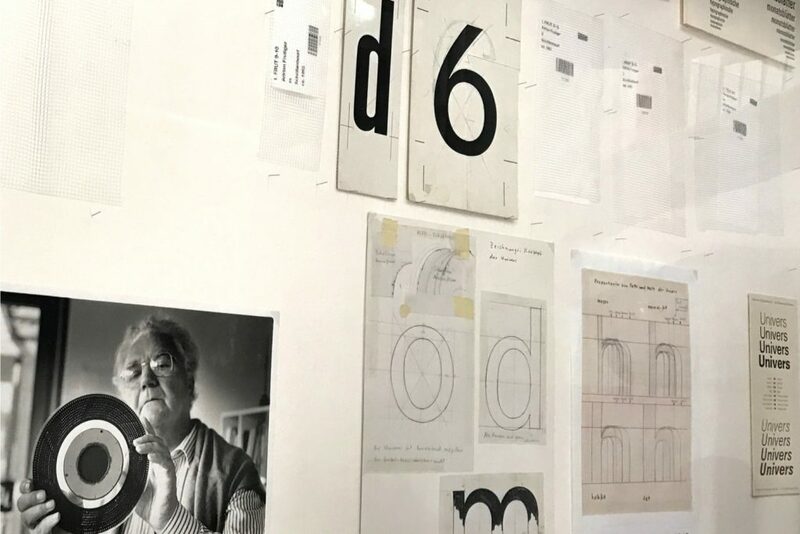 Some of the process work from Adrian Frutiger in the Musuem für Gestaltun in Zürich, Switzerland. Much of what will happen in the future is dependent upon the example the largest companies set forth. When Apple decides to add a handwriting feature in messages, they’re making a choice to let consumers interact in different ways. But typing, emojis, and other add-ins (like a gif keyboard) are used far more prevalently than any sort of handwritten options on phones and other devices. Additionally, what is provided to (and required of) schools shapes the future and its learners. For instance, it’s not difficult to imagine a future in which students are all provided with screens or tablets, and taught to write with a stylus or the tips of their fingers. As a teacher of typography and lettering, I have some concerns for what this digital direction means for future graphic design students, in that people will have a different relationship to materials. And good typography is about understanding the intricacies of typefaces and understanding the history of the form. But I suppose that just means I (and my teaching methods) will have to evolve alongside the technological shifts. This article is based on the presentation, “The Slow Death of Handwriting,” given by Meaghan A. Dee at the 2017 TypeCon in Boston, Massachusetts. 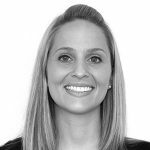 Meaghan currently serves as chair of the Graphic Design program at Virginia Tech (sova.vt.edu) and on the AIGA DEC Board. Her work can be seen at meaghand.com. Blackwell, Lewis. The End of Print: The Grafik Design of David Carson. London: Laurence King Publishing, 2003. Carson, David. Design and discovery. TED2003. TED Talk. 2003. Heller, Steven. Print Magazine, 1940-2017. Print, Winter, 2017. 160. AIGA. “AIGA Design Futures.” www.aiga.org/aiga-design-futures (retrieved November 25, 2018). AIGA Educators. “AIGA Designer 2025.” AIGA Design Educators Community. https://educators.aiga.org/aiga-designer-2025 (retrieved January 1, 2018). Google. “Our Books.” Editions at Play. https://editionsatplay.withgoogle.com/(retrieved January 7, 2018). Trubek, Anne. The History and Uncertain Future of Handwriting. Bloomsbury USA, 2016. 152. Rose, David. Enchanted Objects: Design, Human Desire, and the Internet of Things. Simon and Schuster, 2014.